Metering valve, what is a metering valve - Kp-Lok Houston Inc. The metering valve can also be used with oils. This covers the big part of all applications. Metering valves can operate at any angle. The skilful design of the metering valves promises the achievement of the best amount to the right place, at the correct time. The dosage chamber outlet and inlet are close and opened by means of a pin valve with best control. The dosage chamber volume is continually adjustable by a lockable screw adjustment. The mediums is ejected by means of feeder pump force. The use of new sealing components glydrings make sure long lifetime of the metering valve with top input forces up to two-hundred bar and also used with oil containing strong particles. A big variety of valves reaching from sizes 1 mm3 up to 500 cm3, permit to meet most lubrication idea needs in an economic way. The place magnetic field sensor detects the motion (the end place) of the metering piston and, consequently, the objection of the lubricant. Its output signal verify the completion of the lubricant transfer. A missing signal indicates deficiency of lubricant flow, or other failure. This dosage sensor signal permits for easy process monitoring. The rugged design make sure a high lifetime. 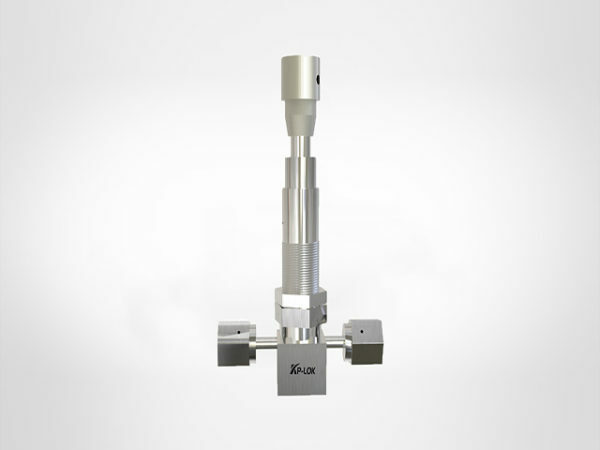 Our instrument metering valves are designed to give stable and accurate control of flow rate sin analytical, research and instrumentation applications. A big range of connection sizes, materials and body patterns of construction are accessible. Porter standard cartridge valves are accessible with the exclusive torque guard prevent mechanism, which get rid of the stem damage cause by overtightening of the valve at shut-off. The torque guard system consists of a specifically designed knob with a prevent pin pressed into an aluminium knob place in and a mechanical information on the packing core that engage the prevent pink and stops clockwise rotation further than a predetermined point. This mixture get rid of the overtightening and resultant stem damage. Porter metering valves are designed for very precise control in low liquid and gas applications. Accessible as valve cartridge, integrally mounted in flowmeters and in-line valves assemblies with angle or straight patterned bodies.